28ct. 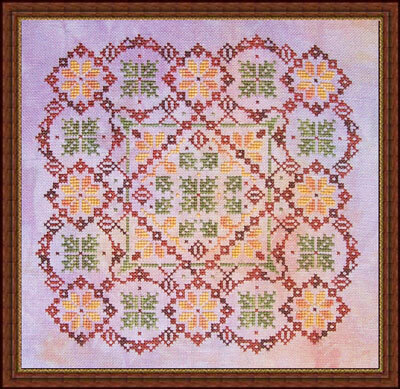 'Da Vinci' cashel linen (stitched 2 over 2) from Picture This Plus. #1069 Spanish Olives (7 yards) , #1042 Desert Sunset (6 yards) and #1072 Wild Poppies (11 yards). 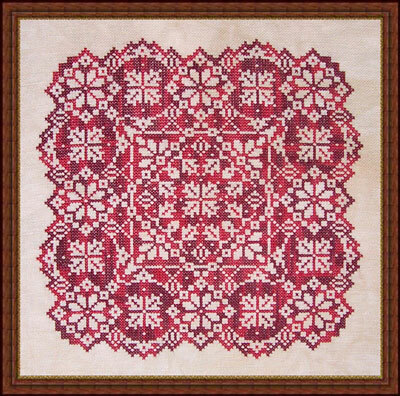 Stitch count is 111 w x 111 h.
#1089 'Bleeding Hearts' (25 yards).